MAGIX Entertainment VEGAS Pro 16 Suite features the full video and audio editing toolset of VEGAS Pro 16 plus seven advanced 3rd-party plug-in packages and VEGAS DVD Architect Blu-ray/DVD disc authoring software. Between all the features, you'll have the tools to edit, color correct, repair, and enhance your videos and movies. The plug-ins consist of Ignite Pro, proDAD VitaScene V3 PRO, Boris FX Sapphire Lighting Unit, Tiny Planet, Bezier masking, AutoLooks, and MAGIX eFX audio plug-ins. VEGAS Pro 16 Suite is Windows-compatible. Ignite Pro offers over 180 plug-ins with 550+ visual effects, including many 360° filters. The Sapphire Lighting Unit simulates natural and synthetic light and includes an integrated Mocha planar tracking and masking feature. New features in VEGAS Pro 16 include advanced motion tracking, video stabilization, dynamic interaction between storyboards and timelines, and 360° editing support. VEGAS Pro 16 Suite builds on the heritage of powerful and efficient operation, video/audio workflow, and open timeline. VEGAS was one of the first NLEs to let you mix virtually all file types on the same timeline without transcoding them, and that's still the case. An addition made in the previous version allows you to customize the user interface to create the environment that works best for you. VEGAS Pro 16 Suite supports DCI 4K resolution editing and delivery and offers stereoscopic 3D editing tools. VEGAS employs powerful hardware acceleration technologies that take advantage of NVIDIA, AMD/ATI, and Intel graphics processing power to provide faster rendering of your edits. VEGAS is known for having many audio editing features. The audio toolset in version 16 includes 5.1 surround mixing with film-style panning, punch-in recording, time-stretching, DAW bussing functionality, and much more. In many cases, the audio features are enough for even the most elaborate projects, ensuring you won't have to export to a dedicated audio editor. 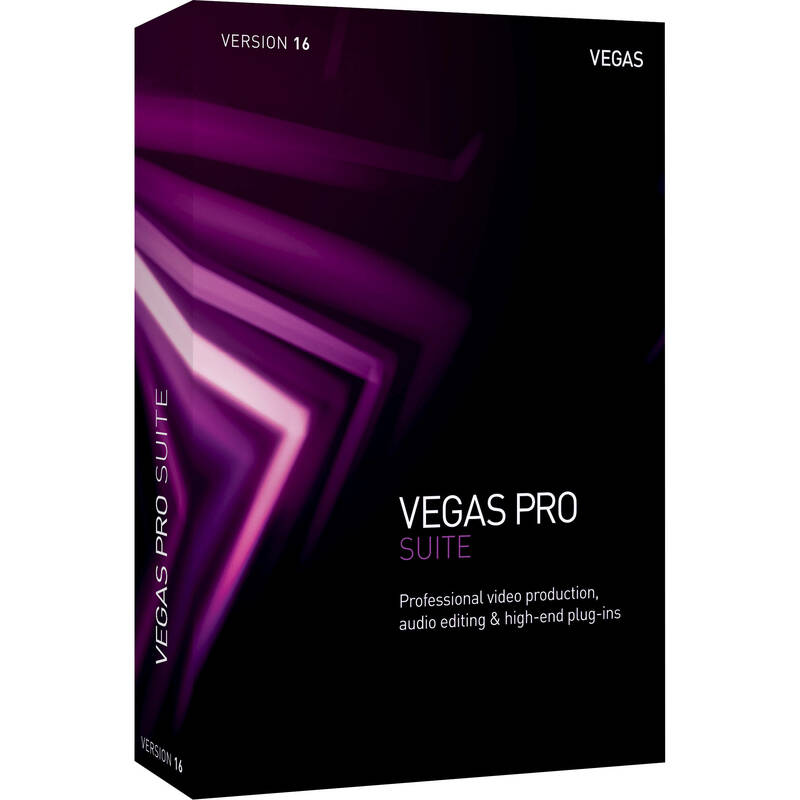 VEGAS Pro 16 Suite (Download) is rated 2.0 out of 5 by 1. Rated 2 out of 5 by Alexis from A Bag of Bugs Trying to find an alternative to Adobe Premiere, I decided to go for Vegas Pro. I had worked with Vegas when it was a Sony consumer product and quite liked it. It was easy to use and I could get things done fast. This version of Vegas is nothing but a huge deception. I just upgraded to Build 307 and the bugs keep coming. I cant use NewBlue Titler, it crashes the application. There are random crashed and the ease of use that I found in Sony Vegas is gone. There are so many bugs I might as well go back to Premiere until this becomes a stable product.